A social intranet for over 9,000 employees, connecting information and communication hubs and shortening distances in collaboration. DER Touristik is currently one of the leading tourist groups in German speaking countries. The group of experts of 9,400 employees in 14 source countries and over 150 destinations has one goal – turning the travel dream of each and every customer into a perfect, unforgettable experience. 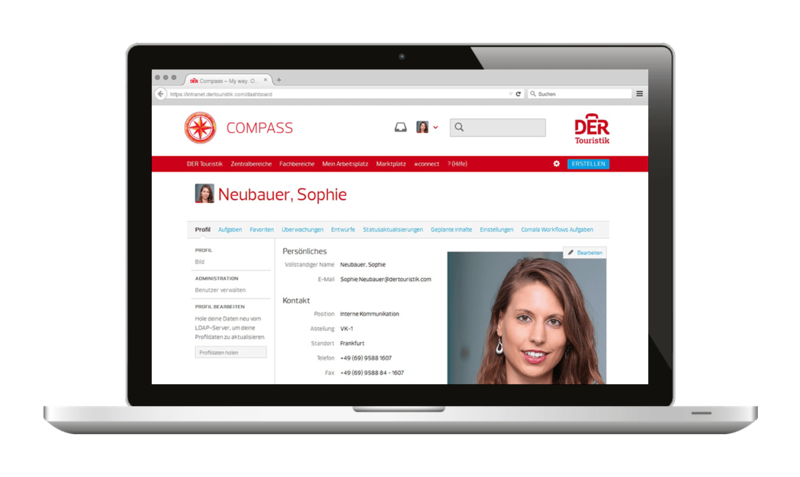 As part of the expansion and internationalization of the company, a common intranet based on a technical portal was to be developed for all DER Touristik employees. It harmonizes a variety of existing info-net portals in the different parts of the organization, which used to communicate mostly autonomously.